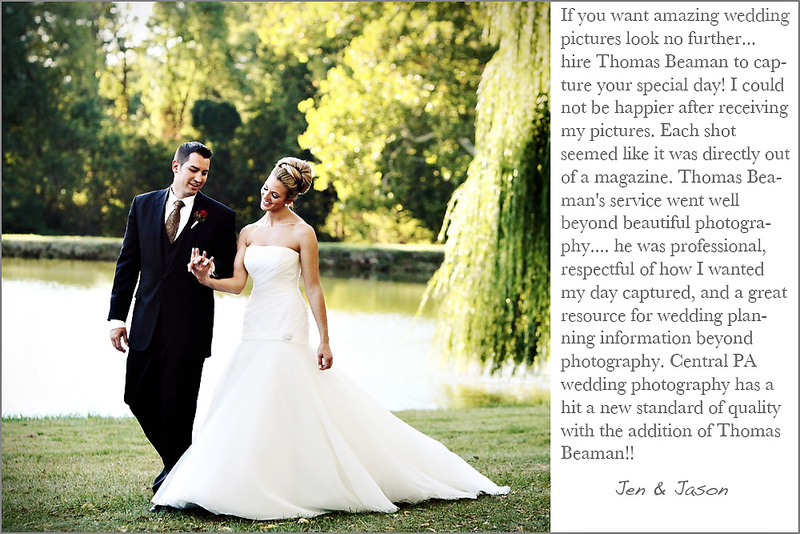 Welcome to Thomas Beaman Photography. I am keeping this blog post at the top of the page because I want new visitors to learn who I am without having to scroll through pages of archives. 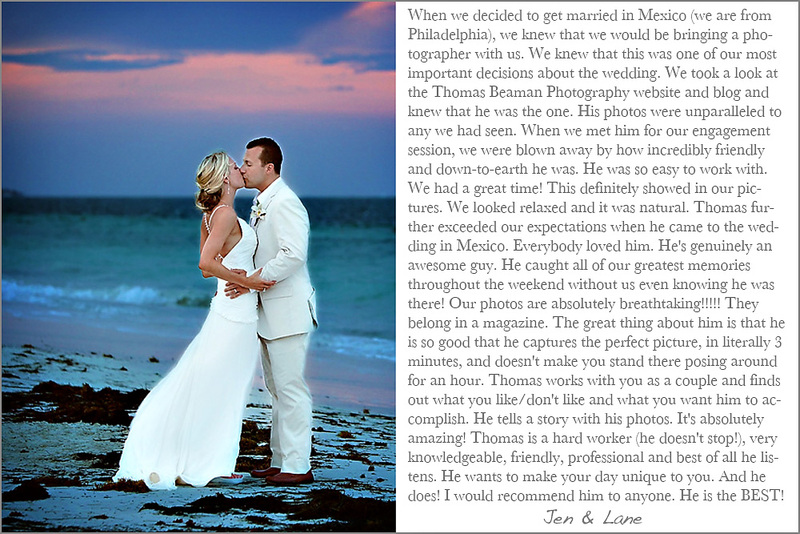 While I am experienced with many different styles of photography, I specialize in wedding day storytelling. 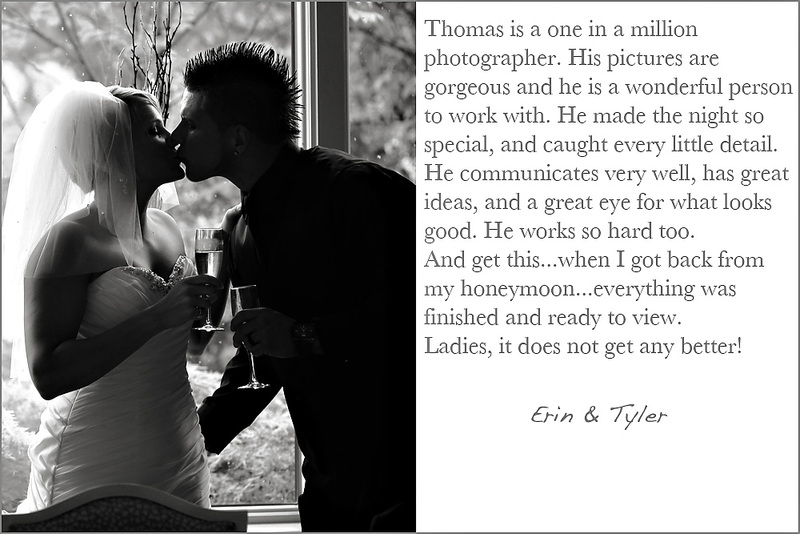 I love telling the unique story of a wedding using images with emotion and expression. Couples spend over a year planning their wedding and I make sure to pay attention to every single detail and photograph them in an artistic way. Please view the slideshow above to see a few of my favorite images. 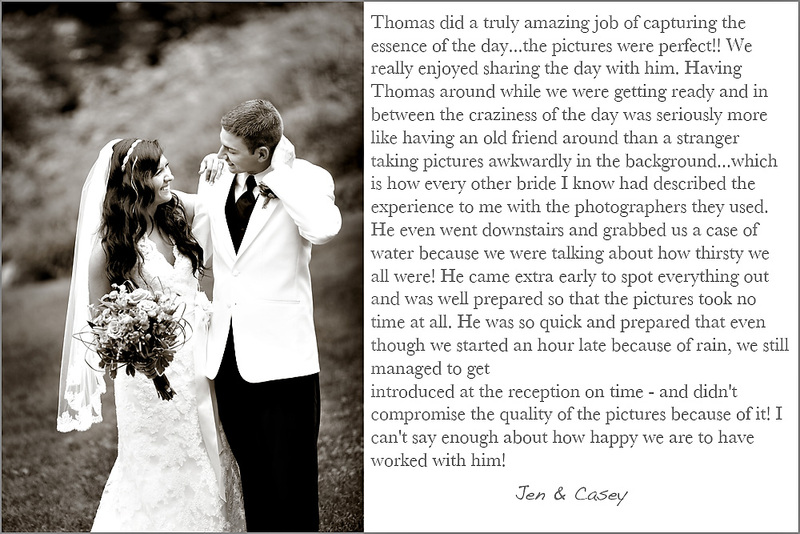 I am also going to share a few thoughts from my previous clients. I take pride in my ongoing photography education which is why I am a member of WPPI (Wedding & Portrait Photographers International). I take 3-4 workshops every year to keep my photography skills polished. I also take 2-3 workshops on photo editing. I attend at least 1 major trade show each year to keep current on the latest products. 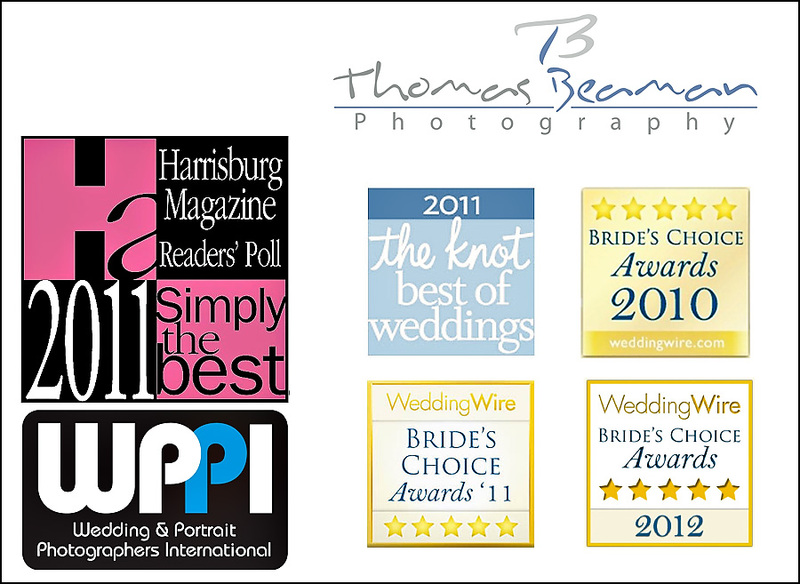 I have won a few awards in the past 2 years including Simply The Best 2011 for Wedding Photography in Harrisburg Magazine. 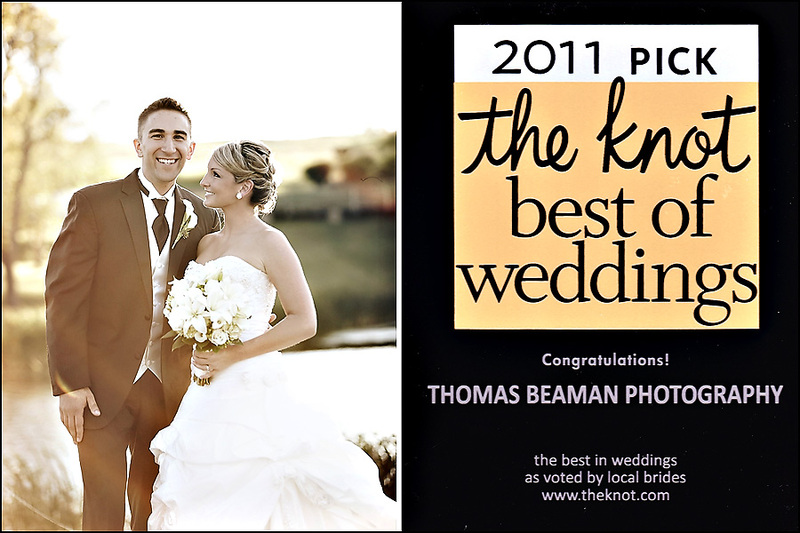 I also won The Knot 2011 Best of Weddings and awards for Brides Choice on Weddingwire for 2010, 2011 and 2012. 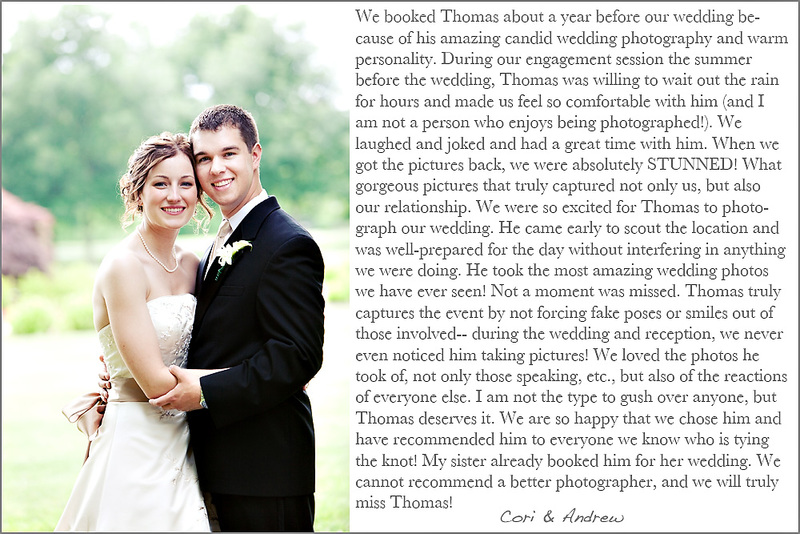 I have had weddings published in The Knot, Susquehanna Style, Wedding Style and Premier Bride. Please take a look around my site and feel free to contact me if you think I might be the right photographer for you.